Stox coin is a cryptocurrency based on Ethereum and provides its users with a platform to make predictions on a wide range of events. Stox coin users can make their predictions on real-time events by harnessing information from a pool of users and combining it with their intuition. They can predict events related to sports, weather, politics and even finance markets. The fact that Stox coin allows predictions in almost all fields makes it favourable for persons with interests in different fields thereby, creating a higher level of engagement. Stox coin is powered by the Stox digital token which is used in the platform to make fee payments amongst other things. Stox coin and its platform provides the mainstream audience with a venue where they can trade differently from the traditional financial instruments. It also allows traders to create new markets, trade amongst selves and make profits from the trading activities. The platform is designed in such a way that it encourages great thinkers and other creative individuals to join the Stox network which in turn drives more traffic to the network. Stox coin launched its ICO on the 22nd of July of 2017. The coin was created by ambitious developers from invest.com; the company (invest.com) has been in the finance market since 2014. The creator company has a market capital of USD 29 million and trades USD 1.7 million daily through platforms such as EtherDelta and HitBTC. How does Stox coin Work? The Stox platform has three significant participants namely the providers, operators and the users. Below is a discussion of how each participant affects the functioning of Stox. The providers are those companies that are already in existence and are being wooed to join the Stox platform through the incentive of increasing their customer base. The companies can then help in developing the Stox coin app through an open source implementation that’s provided to them by Stox. The providers are given the liberty to customize the app according to their practices. Apart from developing the Stox coin app, the providers also give users access to the network via the Stox coin app. These companies promote Stox coin and create massive traffic for the network and are then rewarded with financial support. Operators are those persons who create the events in which users participate. It is the operators who determine the fee each participant pays. An operator can be any organisation, individual or any entity that participates on the Stox network. The operators act as centralised oracles (individual or body that can be relied on for reporting the results of the predictions) and also provide market reserves needed for the running of the events. It is important to note that any user can challenge the outcome announced by the oracle within 24 hours. This makes the prediction process reliable and transparent. For one to submit an appeal, the person has to pay some STX; this is done to discourage people from making false appeals. Users can participate in the Stox network in two ways. They can either join as operators or as participants in the events. Since there are various providers from different niches, users can participate in those niches that they feel that they are at a better position to make predictions. Users can purchase shares from the pay-out of the outcome of the event they want to participate in. When the outcome of the event is predicted by the user, the amount of pay-out given to a user is directly proportional to the value of shares bought. When the event resolves with a different outcome from that predicted by the user, the outcome shares are equal to zero, and the tokens placed on the event are lost. It is also important to note that price fluctuation of the shares occurs as the event continues and more people invest in the event. Trustworthy- Stox coin has been developed and trades on a well-established exchange that has been in the market for quite a long time offering excellent services to customers. It uses the network of an established cryptocurrency, and that creates a promise of it growing into a world-class platform. 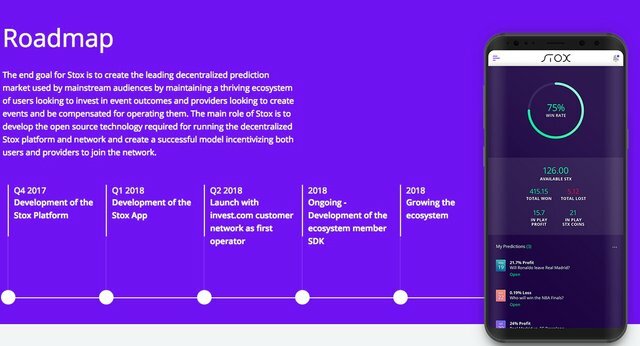 Stox coin has a clear roadmap- the roadmap shows a lot of promise in developing Stox coin further and stronger in the future by specializing in the management of international working environments and dealing with regulators in the market when need be. The project has so far developed on its road map. Few competitors are offering what Stox coin offers- Stox’s leading competitor, Gnosis, only managed to sell about 4% of its tokens while the entire market share has been left for developers. Stox coin has a higher cap for its tokens distributed to its investors which gives it more control over the currency. Though Stox coin could be an investment worth looking into, this guide will not be complete if we don’t mention the legal troubles the Isreal based cryptocurrency has faced in the past. Its owner, Moshe Hogeg has been accused of mismanagement of funds. He was accused in a lawsuit of only $5 million into the company from the $34 million that was raised during the ICO stage. It was also claimed that Hogeg sold all his STX coin holdings thereby devaluing the cryptocurrency and that he later bought land in Tel Aviv worth over $19 million. According to Hogeg, he reinvested the ICO money in other projects like the Telegram ICO. 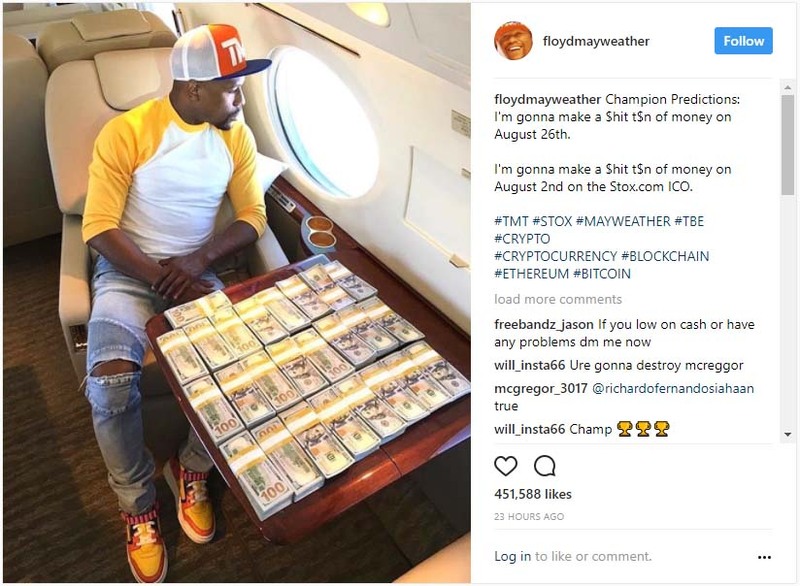 Floyd Mayweather also came under the scrutiny of the SEC for not declaring the earnings he got for promoting the Stox ICO as he was one of the lead celebrity promoters of the ICO. Mayweather agreed to the charges by the SEC and paid a fine plus interest. He also received a ban from participating in speculative promotions for 3 years. The recent spike in crypto pri..
﻿Analysts bullish on the price..